What is a pondless waterfeature? 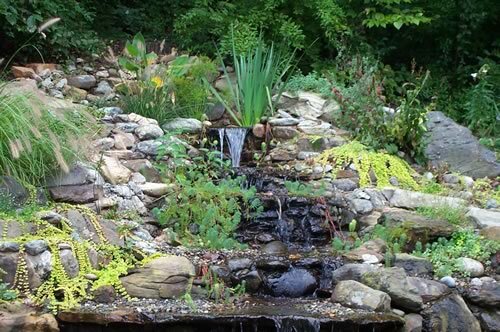 A pondless waterfeature incorporates the sights and visual effects of water cascading over rocks except for falling into a recirculating gravel bed rather than a pond of water. The design is becoming increasingly popular with situations where space is limited and their may be concerns with the body of water with children and animals. For those people who do not care for fish, frogs or other wild life present. A pondless water feature is typically less expensive than a complete pond system.